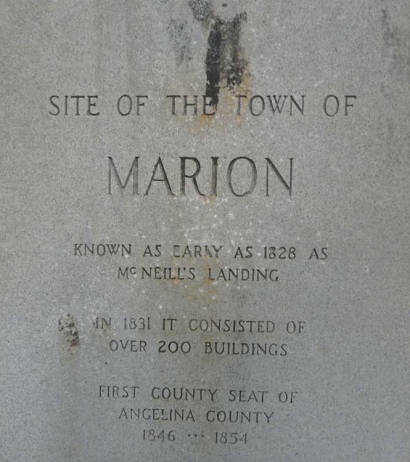 Marion, Texas, First Angelina County Seat. Marion was the first of Angelina County's four county seats. In the late 1820s, the site was known as McNeill's Landing since it was the terminus of steamboat traffic on the Angelina River. By this fact, it became the center of Angelina County commerce, connecting the inland town with coastal Sabine City - and the Gulf of Mexico. Despite the river connection, growth was slow. 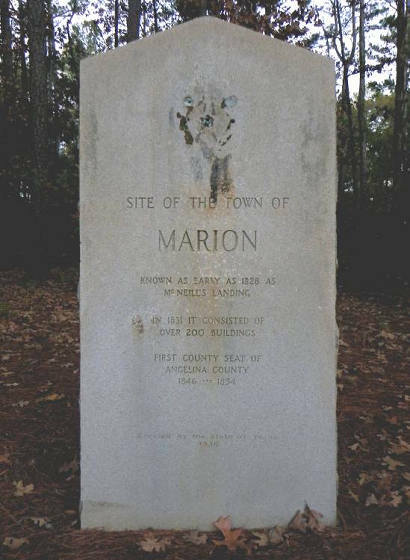 In 1846 it was named county seat and renamed to honor General Francis Marion, the "Swamp Fox" of the American Revolution. The first courthouse was a two-story log structure. 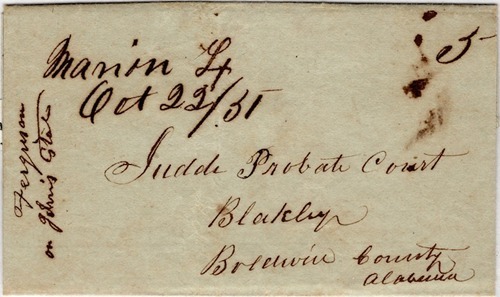 In early 1847 a post office was opened. In 1854, the town's status as county seat was taken away by the more centraly-located Jonesville. The demise of Marion was slow and drawn-out. It's river traffic kept it a viable for many years but just barely. The arrival of the railroad in the early 1880s was the writing on the wall. By the turn of the (20th) century, Marion was gone. 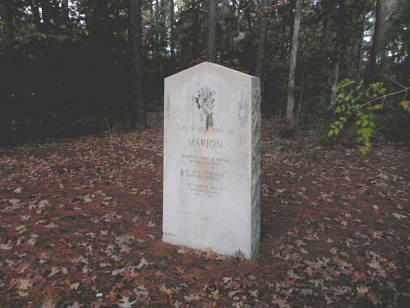 The Texas Centennial Commission erected a marker in 1936, but Marion had by that time, already joined the long list of East Texas ghost towns.